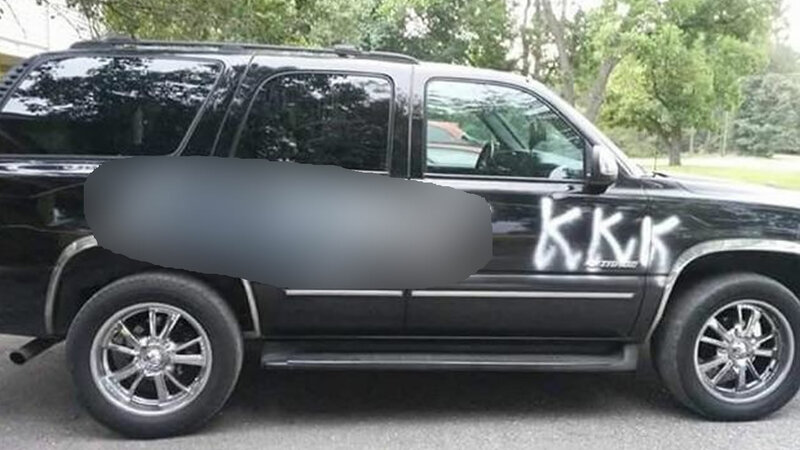 The N-word and the letters "KKK" were spray-painted on this vehicle. SMITHFIELD, N.C. (WTVD) -- Police in Smithfield are investigating what they've designated as a hate crime after someone spray-painted the N-word and the letters "KKK" on the side of a woman's SUV. The incident was reported last Wednesday at a public housing project on Kay Drive. Under North Carolina law, by designating the incident as a hate crime, a vandalism charge can be upgraded to a felony with a maximum sentence of up to two years in prison.